All Time Low is an American pop punk band formed in Baltimore, Maryland, United States in 2003. 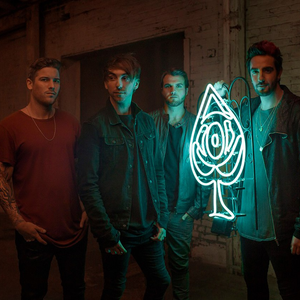 When Alex Gaskarth (lead vocals, rhythm guitar, keyboards) was in middle school, he was moved from private school to public school, where he met Jack Barakat (lead guitar, backing vocals), and put the band together; later recruiting Rian Dawson (drums, percussion), and Zack Merrick (bass guitar, backing vocals). The band's name came from a line in the New Found Glory song Head On Collision.